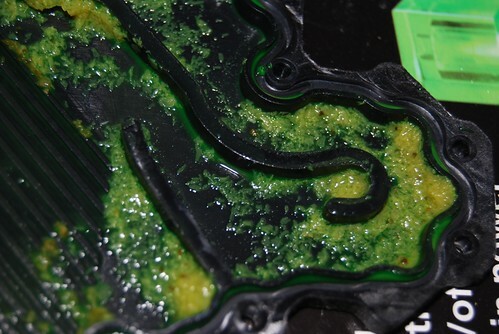 To keep this thread alive can anyone else share their water cooling horrors please? Pardon my ignorance but what is F***R fluid? Whatever it is, it looks nasty! To be honest, if you are careful and willing to make a few mistakes along the way, the end result is worth it! Otherwise you distilled/deionised water witha bit of PT-nuke! This is the most effective solution. If you want a UV effect......USE UV tubing! 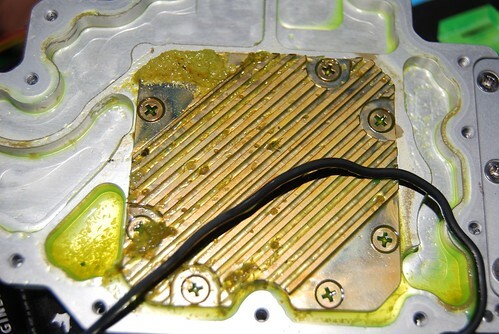 IN fifteen years of water cooling, I have only blown one motherboard and one VGA card but this was due to my own fault and not water cooling alone! DO NOT RELY on the natural O-RINGs on barbs ( the prupose of a O ring is to stop fluid from travelling up the threads of the barb) use the oring and PTFE (plumbers) tape on the barb threads! Pure water is non conductive of an electric current, its the minerals contained that is conductive! A wc system should be SIMPLE, the lonmger and more complicated you make it then fluid dynamics 101 comes into play,..the longer a fluid travels along a medium then the more heat it picks up due to friction! So does anyone have any water cooling horror stoires? Just a quick hello to introduce myself. I am a newbie to water cooling, and YES I did start with a kit first of all, just so I could learn without paying too much money. The kit I first had was Gigabytes own. Now I know more I have changed my case (from a thermatake kandalf) to Lian-Li v2000b plus and purchased the Dangerden ddc ultra pump and the alphacool plexitiop and dangerden reseviour. I am getting there now, just saving up for the rest of the kit. This is in addition to ithe patience with myself from O-CuK by bombarding them with lots of questions. Well by the time im finished im going to have a heck of a water cooling setup for a newbie like myself. Thanks for O-CuK for their patience. So 2006 and newbie? 15yrs experience at what exactly? I'm not going to bother going to your site, as you don't know what you're talking about. I vote against stickying this thread. As for horror stories I've had a few. Mainly where I have thought that the fastenings were all nice and tight, to turn it on and find it dripping (thankfully I always test it with just the pump first rather than the whole system powered up and plenty of kitchen towel roll around the joints). 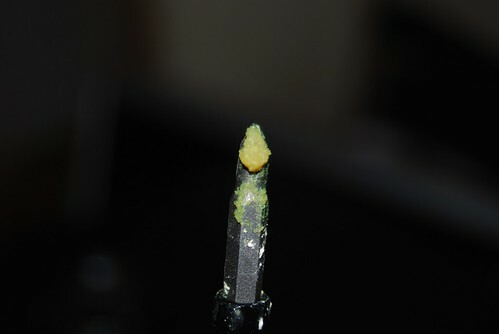 The worst one has to be when I was using the dreaded fesser green liquid. I decided on adding my graphics card to the loop. As this would generate extra heat, I bought a single rad to fit in the drive bay of my case. Bought a single ThermoChill PA120.1 rad. Attached the fan to the rad using the screws provided, piped it all up, filled the reservoir and turned on the pump. 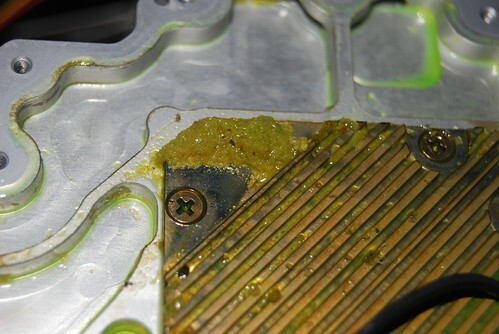 As you might have guessed one of the screws that attached the fan to the radiator had punctured the rad and green liquid started streaming from it. Luckily the drive bay is at the bottom of the case so I didn't get green liquid over any components. Unluckily I decided to change the build on the tiled floor of my bathroom. The white tiles were now green. After a quick drain down and replacement of the rad I mopped up. All looked nice and clean; the wife will never notice I thought. I re-made the loop, tested and all was good. Left it overnight to bleed and then re-wired the rest of the system. Thought I'd give it one more test before moving the case to it's home in my office. Did I get a shock when I turned in the PC. The UV lamps in the case turned on and my bathroom floor started to glow; of course my wife had to walk in as I turned it on. I eventually got the tiles clean, but for several months the grout would continue to glow if you shone a UV lamp in there. God knows what CSI would have thought had they had to test in there. Thanks for sharing these stories with everyone! Oh dear that looks horrible... 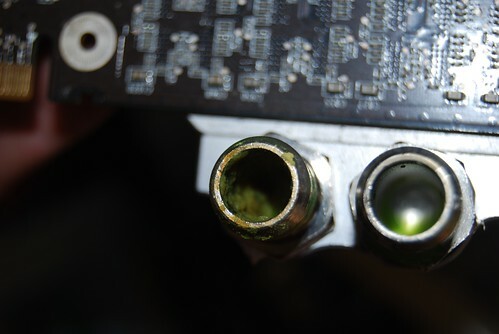 I use just distilled water with some additives to prevent fungus and stuff, although I seem to have some Algae growing in the reservoir currently... need to clean out my loop soon.